Saliva ovulation test helps determine the time of ovulation (release of egg from the ovary) of a woman. It is one of the effective methods that can be reliably used at home to find out the time of ovulation. It eliminates the need of monitoring the body temperature on daily basis or looking for signs like ovulation pain. When a woman is about to ovulate, her saliva starts taking on a distinctive pattern which is detected by a microscope which confirms that ovulation is about to take place. This is the basic principle employed by the saliva ovulation test. The pattern of the saliva becomes rather “fern-like” which is why it is known as “ferning” of saliva. It happens because as the levels of the female hormone estrogen gradually increase in the body near ovulation, the amount of salt in saliva increases too. It is basically this salt that imparts the saliva this “fern-like” shape. This pattern starts appearing 3-4 days before the onset of ovulation. The test kit comes in various forms and shapes, the most common being the shape of a lipstick container. It consists of a microscope and built-in removable slides. It collects the saliva and analyzes the sample for its microscopic pattern. The ideal time for this test is right after waking up before brushing the teeth or eating anything. Just drop some saliva onto the slide and let it dry. Then view the sample through the microscope by pressing the LED button and focusing the microscope. Focusing is done by slightly rotating the microscope. The lens should be cleaned thoroughly after use. A typical salivary sample may appear as dots or circles, slight or full ferning or a combination depending on the time of the cycle. Optimal results are obtained within 5 days of the expected day of ovulation. 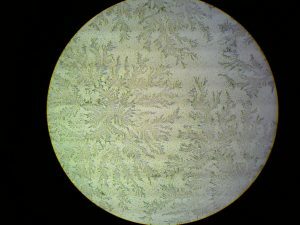 A fern-like pattern means that the test is positive. 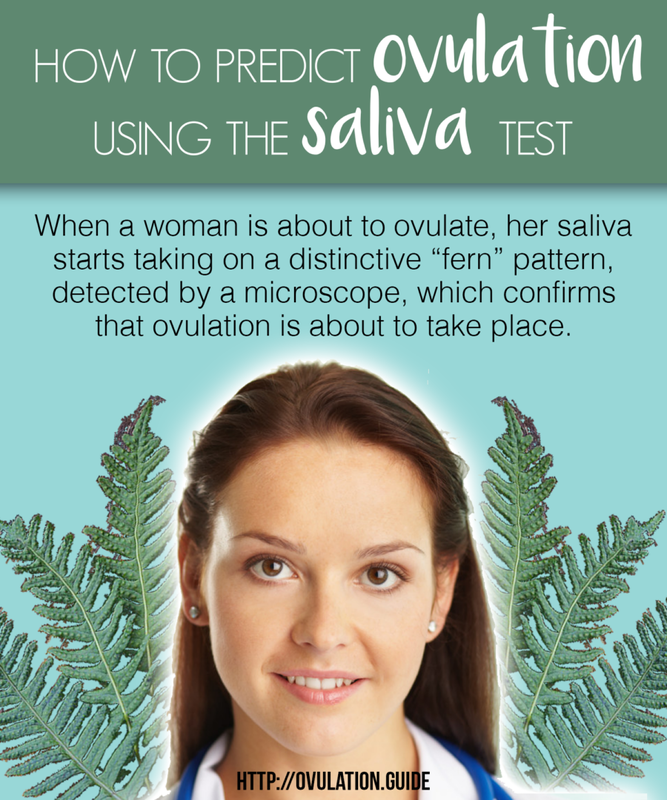 A positive saliva ovulation test means that a woman is about to ovulate. It is not, however, an indicator that a woman will get pregnant as a result of ovulation. A negative test means that a woman is far from ovulation. In most of the cases, however, a negative test results from improper method of testing. Other factors that disrupt the ferning and cause the test to come out negative, include smoking, eating, drinking, brushing the teeth etc. Saliva ovulation test is a handy home-based test that gives quite accurate assessment of the time of ovulation.